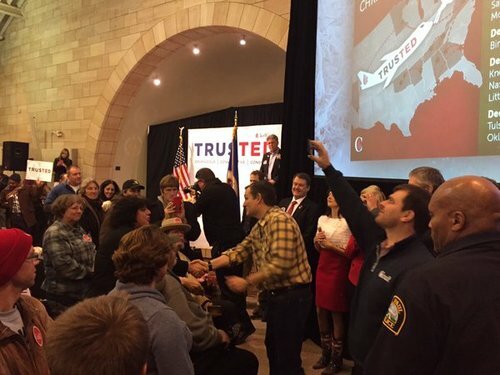 Looks like we got an altercation at the @tedcruz rally. This is called the Take Off With Ted Country Christmas Tour, BTW. PBS NewsHourTed Cruz is senator, firebrand, former prosecutor, the son of a preacher-man (who was also a Cuban emigre), a Tea Party favorite and now presidential candidate. To begin the season of decision, here is a look at where the first official Republican contender stands on ten key issues. Project Vote SmartProject Vote Smart provides free, unbiased, in-depth information about current officials, candidates, issues, legislation, and voting. Non-partisan and nonprofit since 1988. 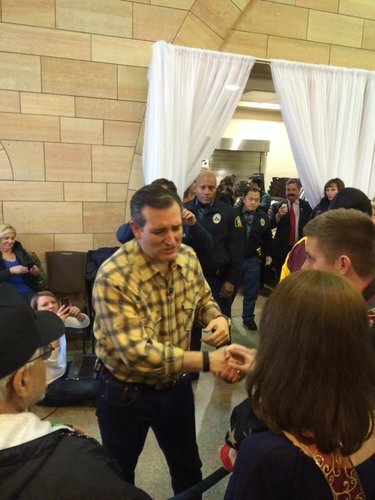 Cruz: "God bless the great state of Minnesota." Cruz says "help is on the way." First order of business for Crus as president: rescind Obama exec orders. Next, he wants to investigate Planned Parenthood. 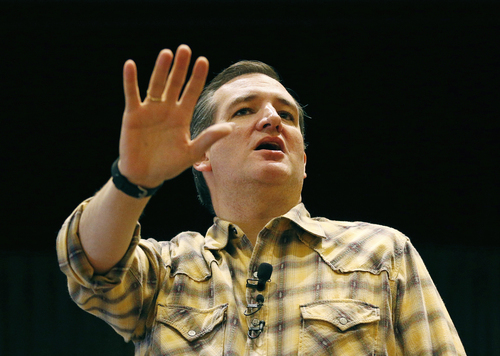 Cruz also want to rip up Iran nuke deal. 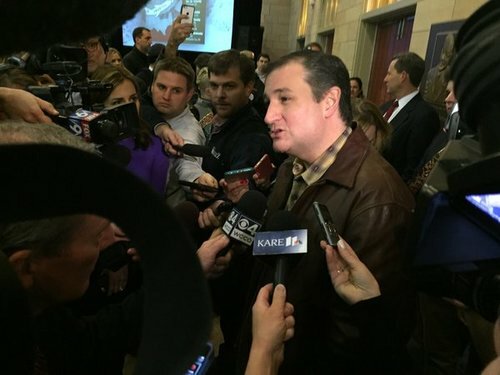 A repeal of Obama care is also on Cruz to do list. So far, crowd loves every idea. 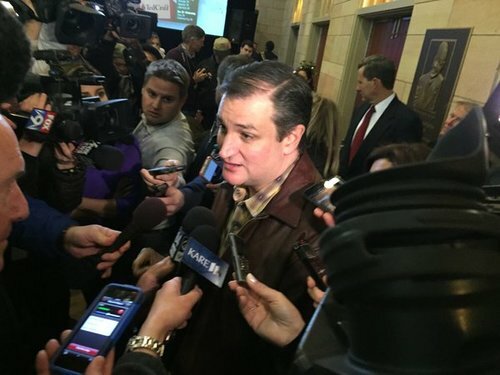 Cruz want to crack down on immigration, rebuild the military. Cruz gets to terrorism, wants to "utterly destroy ISIS." Cruz wants a "simple flat tax" then eliminate the IRS. 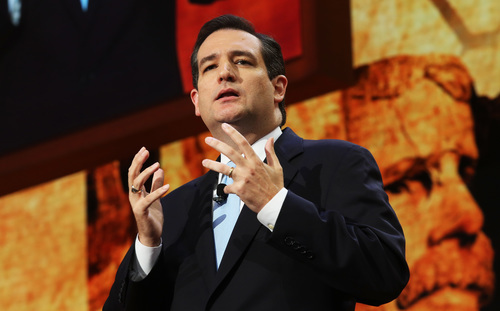 Cruz says IRS agents could then guard the border. 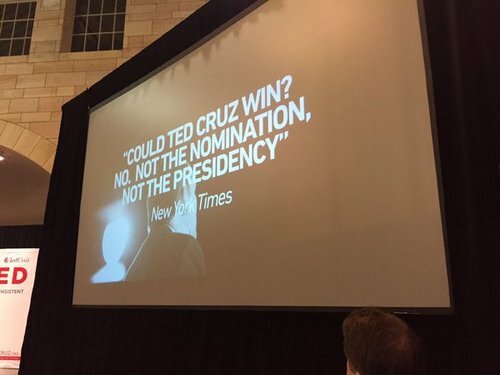 Cruz compares Obama to Carter, suggests he's next Reagan revolution. 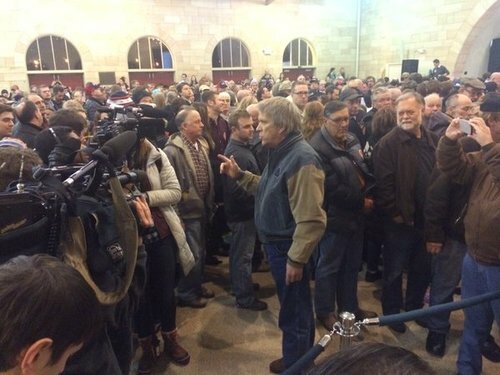 Cruz says he's for people who think Washington is fundamentally broken. Cruz says his father has always been his hero. 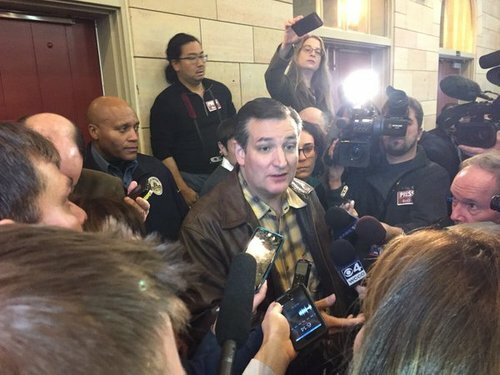 ST. PAUL, Minn. (AP) — Texas Sen. Ted Cruz is off on a tour of states in the Super Tuesday voting for the presidential nomination. 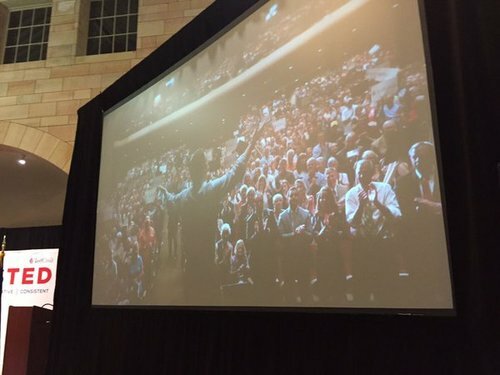 Cruz began the swing Thursday night in St. Paul, getting roars from crowd of hundreds with promises to put a conservative imprint on Washington from day one in the White House. 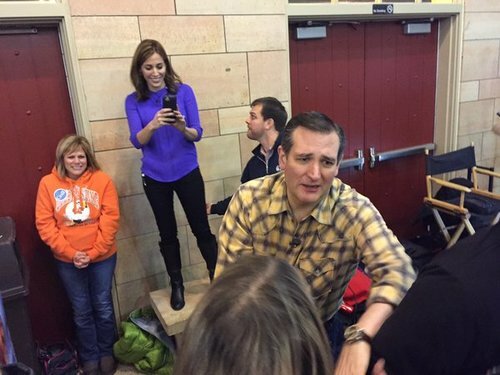 Minnesota is one of seven states Cruz is hitting over the next week, all with March 1 caucuses or primaries. Those states haven't received as much attention as early-voting Iowa, New Hampshire, Nevada and South Carolina. 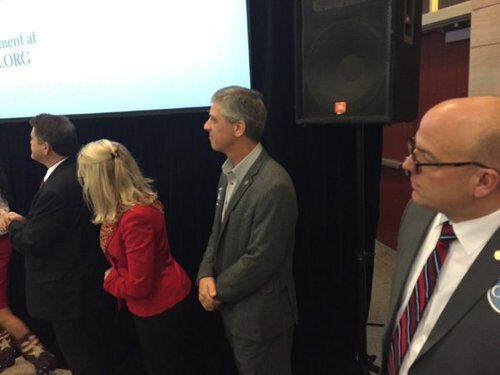 Cruz recently won a straw poll conducted at a state Republican Party meeting and he has a slate of conservative legislators on his steering committee. He's the second presidential candidate to campaign in Minnesota this week, following Democrat Hillary Clinton on Tuesday. Good news for the #IMF . In the #OmnibusBill , a provision implements internationally agreed upon reforms to the IMF’s governance structure.